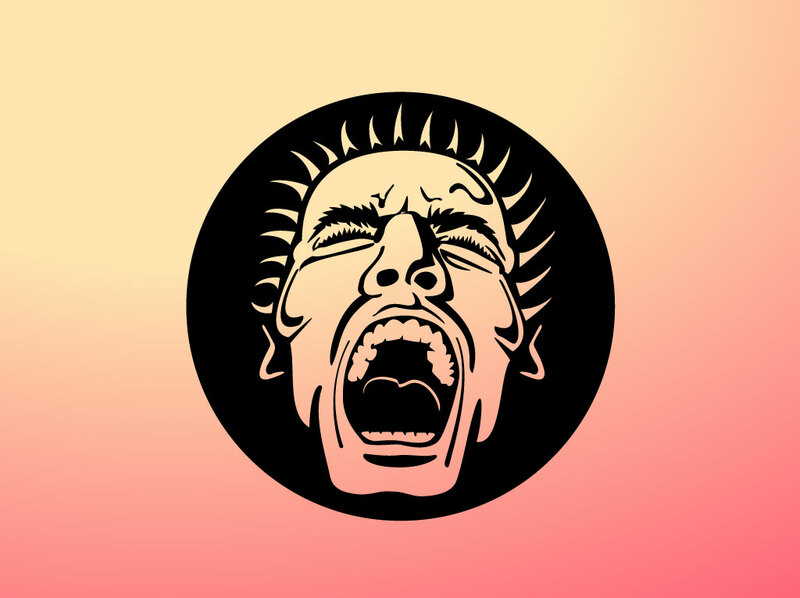 Free fury vector illustration of an angry man full of rage, screaming in frustration. Hand drawn person graphic is cool to use for your modern design themes that deal with stress and anger. This free vector download is great imagery for symbolic designs, pin posters and collage artwork. Tags: Emotions, Frustration, Modern Times, Rage, Screaming, Shouting, Stress.